sailboat. 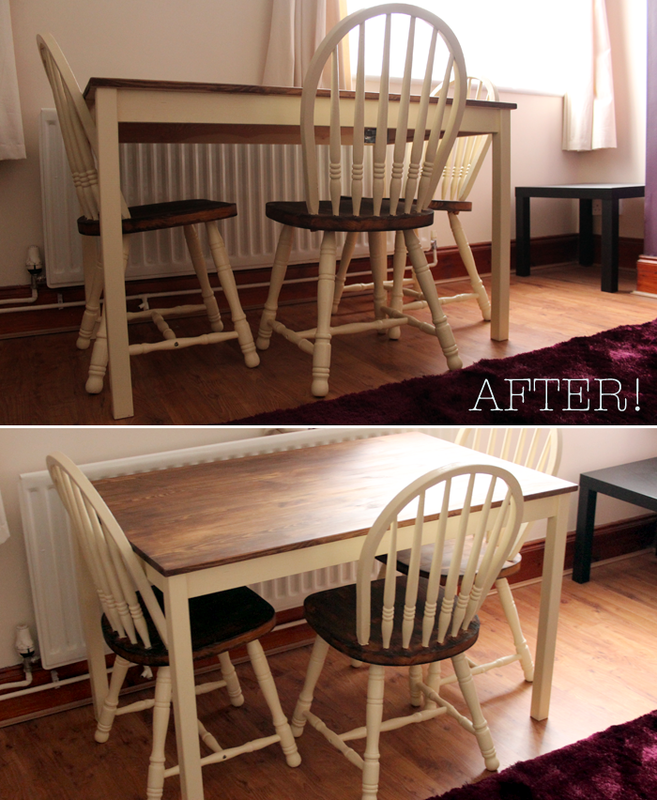 : Home: Upcycling a dining table and chairs. 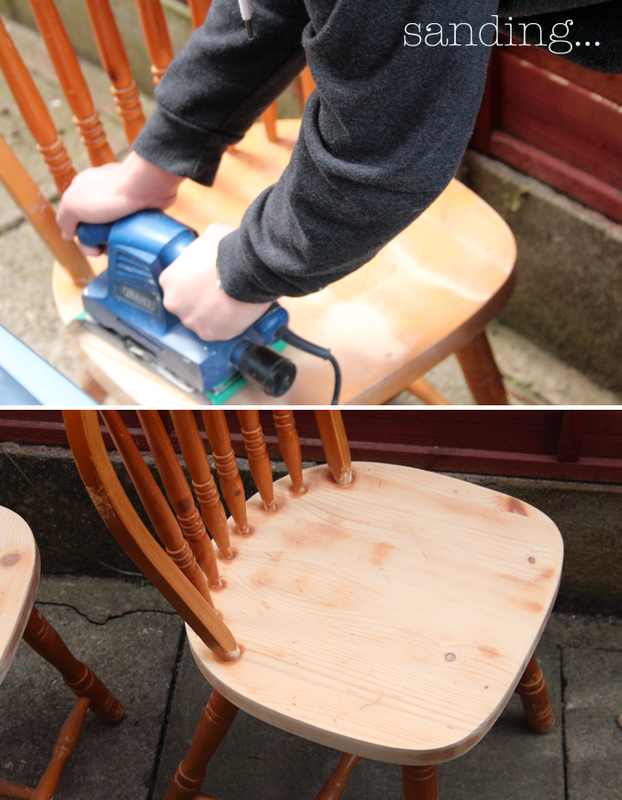 Furniture is expensive, especially nice furniture, so I'm a firm believer that if you can recycle something you already own or can upcycle a charity shop bargain, it's worth a go! 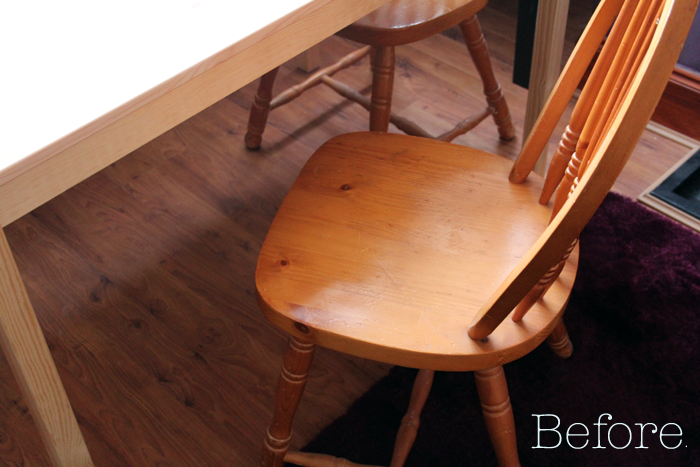 We rescued three chairs from Mark's parents, found a super cheap (but slightly boring) table at Ikea and bought some wood stain & a tin of Annie Sloan Chalk Paint. This paint is amazing because you can paint over something that has been varnished which saved us approximately 1 billion hours sanding until our fingers fell off. 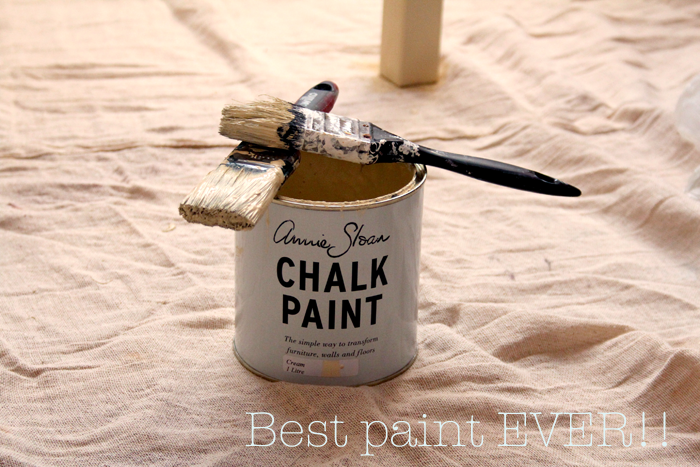 Thanks Annie Sloan! 1. It will take longer than you think. A lot longer. 2. 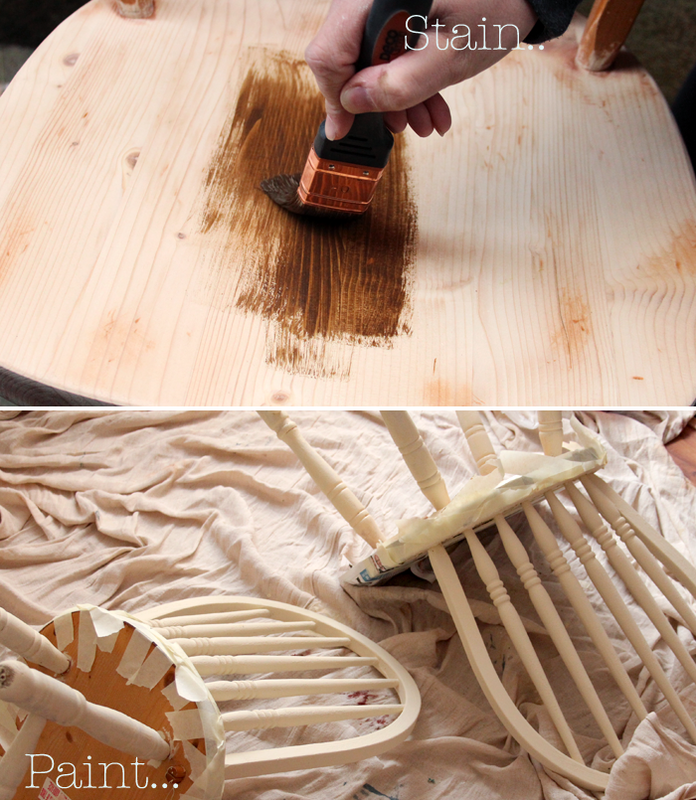 Painting the first chair is fun. 3. That fun won't last. See point 1. 4. Remember to ask your boyfriend if he owns an electric sander before you start sanding by hand. 5. Don't buy cheap sand paper. Ever. It's pointless. Toilet paper would do a better job. 6. When you see these magical ladies on Pinterest complete all these fancy projects when their children are having 20 minute afternoon naps and manage to take pretty photographs to document the process, it doesn't mean you can do the same. You can't. 7. Please don't attempt ever again unless it's really necessary. Have you ever upcycled anything before? I have heard about this paint! I have a chest of drawers which I would love to upcycle and I do not want to sand it, oh no no. Your table and chairs look amazing and if they were in Laura Ashley would cost a fortune, hehe. Haha I totally agree with your notes to self :D Painting takes sooo sooo much longer than you think! This looks so good! Also, I know where you are coming from with your notes to self. It get's pretty dull pretty fast- why does no-one tell you it wont take half an hour?! It turned out amazing though!! I def feel your sanding pain, I wish we had an electric sander when we redid an outdoor table and chair set. Lesson learned. Haha. I love the 'note to self' ... so true. Alas. This looks so nice. I dont know if I would have the patience to do it myself. Must have been so rewarding when it was all complete though! Ooh, very nice! They look really pretty. Well done. Ahh, they look soooo good though! 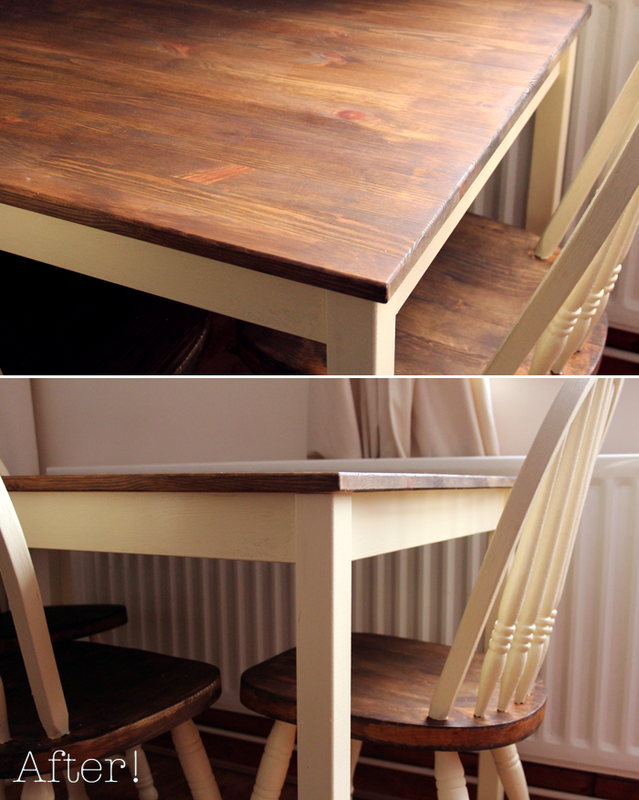 I started upcycling a writing desk I was given, about three years ago. I have sanded it down, and primed it and since then (about two years ago) it's been banished to the hallway because I haven't decided what to do with it next - I had visions of beautiful floral painting on it because of something I'd seen in a little shop in town, but then remembered I can't draw or paint for toffee! It looks so awesome now! Very country cottage chic! <3 I know it takes forever though, it's almost like you just wanna toss it out and by a new one by the time you're half way through staining everything haha! My mom always upcycles things - these look really good! Loved this post! Esp the 7 tips, so true the fist 5 min are always fun then you realise there is alot of work to do & its hard. I get distracted and bored so easily. You have done a lovely job, they look great. While this looks quite complicated, I really do like the idea! I love this project, the finished result is fantastic! I always find projects take longer than expected. Wow! I love the finished result. We upcycled something similar a few years ago and I remember it took almost 6months (no word of a lie! ), we had the awkward job of having to re-upholster the seat pads too.